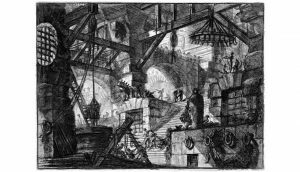 Piranesi was an Italian artist from 17th century, mostly known for his drawings about imaginary prisons. Those dark places full of terror are fascinating, and I wanted to give it a try with a voxel tribute. The workflow was quite simple here, because Piranesi gave so many details in his work that I just had to follow the artist’s view and re-compose the whole scene with the same sense of depth and volumes. The funniest part was to paint directly onto the voxels. For this step, I had to settle a color mood, and do a few tries. I finally decided to use some grey stones and some strong lights coming from inside the cells, to add some contrast to the scene. 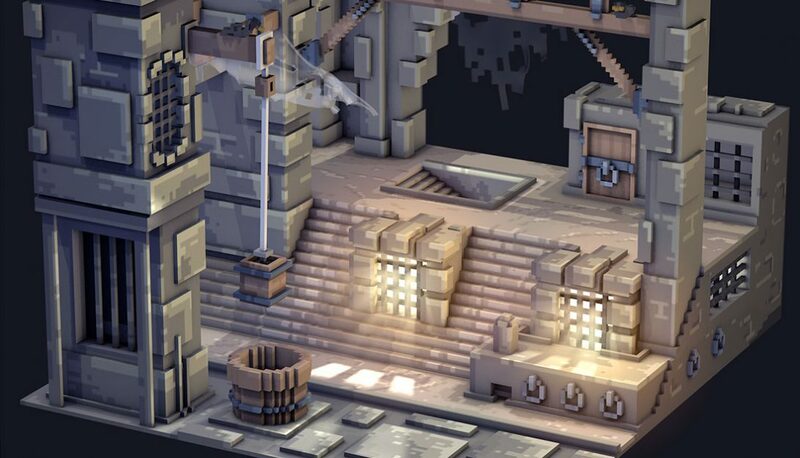 For the final result, I exported the whole scene (126x126x126) from Magicavoxel to Cinema4D, put a few lights (including volumetric lights inside the cells, and animated them so the light should catch the bars and give a nice volumetric effect) and animated a few other things : the bucket is slightly rotating as if hanged from above, and some spiderwebs are blowing in the wind. The spider webs are a simple plane with squared subdivisions, some of them are deleted so the whole thing looks like a torn piece of cloth, or some old spiderweb. I added a cloth tag to it, then attached the upper vertices onto the wood and added some wind. You will find more of the original prison sketches made by Piranesi here. Very nice. 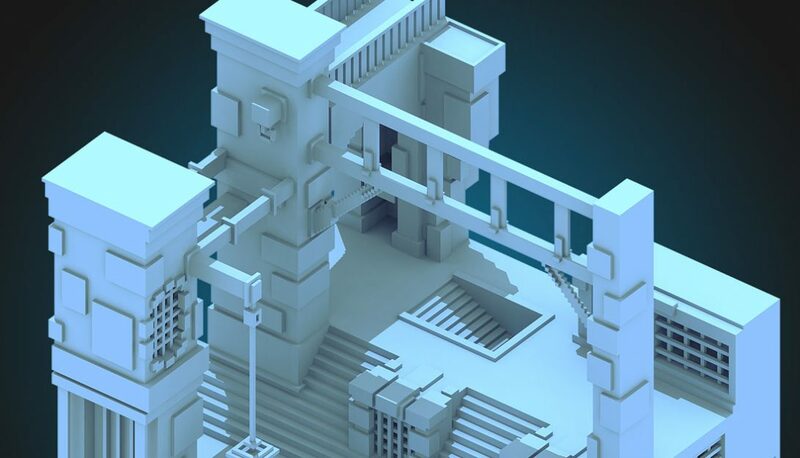 I’m feeling inspired to try some voxeling now.